How do you feel about the life you’re currently living? 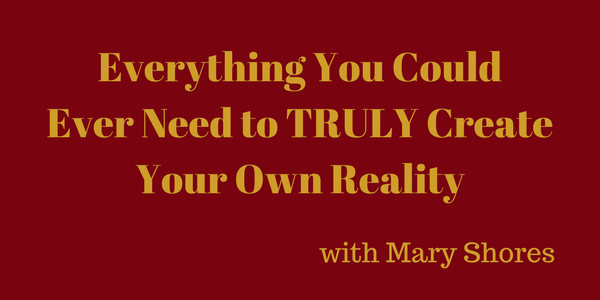 Do you ever wish that you could actually orchestrate and create your reality? What if I told you that you REALLY can – and that all it takes is focusing the words that you speak and the thoughts that you think? Internationally known author, speaker, entrepreneur and CEO, Mary Shores will be joining us today and sharing TONS of useful information on changing your life! She’ll share her own journey of how she overcame an unthinkable tragedy but was still able to TRULY and SUCCESSFULLY create her own reality by using a variety of scientific methods and practical personal development exercises. She’ll also be giving away SEVERAL free gifts and resources that you can use to begin creating YOUR own reality. If you want something in your life that you don’t currently have, you don’t want to miss this show!